The kitchen is one of the most high-traffic rooms in a home. At ProSource® of Albany, we know you can transform a basic kitchen into a luxurious living space with the right products and an experienced, knowledgeable team. That’s why ProSource is the one source for trusted brands at low, wholesale prices. We carry cabinets from traditional to trendy, making it easy for you to find a style that aligns with your design desires. The selection of cabinets at ProSource of Albany vary in color, shape, and wood type — all available at prices that fit your budget. Cabinet hardware items include pulls, end caps, hooks, knobs, and more. 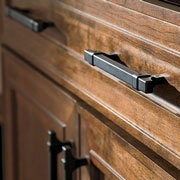 They come in various colors and sizes, which means you can customize the kitchen down to the nitty gritty details. 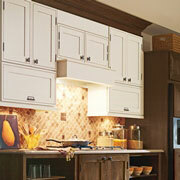 Countertops are a simple way of beautifying a kitchen while also serving a functional purpose. 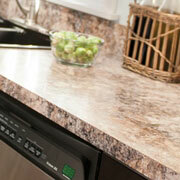 Our selection of kitchen countertops include granite, quartz and even recycled material for the eco-friendly mindset. 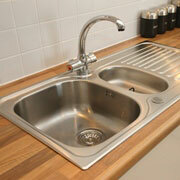 Kitchen sinks can be a main focal point of design for a kitchen. It’s where all the action happens, from washing dishes to cooking meals. The sinks you can find at ProSource include stainless steel, fireclay and more, and they come in a variety of styles and colors. 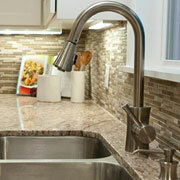 Kitchen faucets have two purposes: functionality and design. They can come with two handles or just one—sometimes they can even feature touchless technology. Either way, let the team of experts at ProSource guide you to the best faucet for your project.